Posted on April 23, 2018 at 12:03 pm. Aquis Entertainment has until May 14 to show commitment to the redevelopment of Casino Canberra. 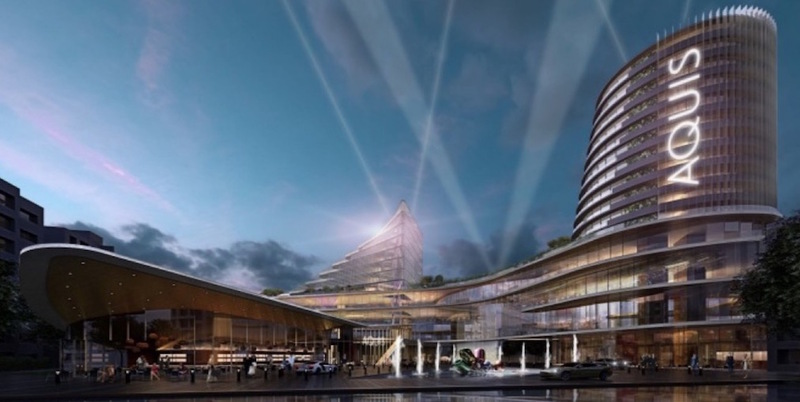 The National Capital Authority, the body set up to manage the Commonwealth’s interests in planning and developing Canberra, issued the deadline after Aquis continues to delay their plans to give the casino a face-lift. In 2014, the Hong Kong-based Aquis Entertainment made an entrance into the Australian gambling industry by purchasing Casino Canberra. After the acquisition, it planned to open another casino, to be built in Queensland. To give the Canberra casino a face-lift, it made an expansion proposal to the Australian Capital Territory (ACT) which included installing 500 poker machines in the newly expanded facility. However, the ACT agreed to allow only 200 poker machines after approving the expansion project. Aquis would also have to lock down the poker machines to $2 per spin. In addition, every gambler would be required to say how much they want to gamble prior to a game. These arrangements have cooled Aquis enthusiasm for expanding the property. Their intention was to use the 500 poker machines to generate enough revenue to pay for the cost of the expansion. In June 2017, Aquis made another redevelopment proposal for Casino Canberra. This time it promised to pump $256 million into the project by upgrading the casino, proposed plans to build seven new restaurants, nightclub and six-star villa accommodations. Others include a five-star hotel, a shopping mall, and a day spa. In addition, Aquis promised to attract 750,000 visitors each year into the region. The industry players welcomed the news and the project was subsequently given the green light by the Australian regulators. Since that time, Aquis has said nothing about the project and there are no signs of commencement. After the long silence, ACT has started putting pressure on the company to finalise the deal and expand Casino Canberra. According to a report by Times, Aquis have up until May 14, which is just about a month to ensure that happens. A spokesperson of Aquis has since said the redevelopment is still under a consideration stage. The Canberra expansion, which is Aquis first project in Australia, can be scuttled by the ACT Government if they fail to act.